James "Jim" Albert Copeland, 58, of Sacramento went to be with the Lord Thursday, July 15, 2010. He was preceded in death by his parents, Wilford and Lorrine Copeland; and two sisters, Rita Faye and Fredricka Copeland. He was a member of Sacramento United Methodist Church. Yet through all of his accomplishments, his most prized and greatest joy was being a husband, dad and papaw. Survivors include his wife of 37 wonderful years, Karen Copeland of Sacramento; four children, Carrie Miller (Shawn Miller) of Utica, Chris Copeland (Karla Copeland) of Owensboro, Candy Ashley of Maceo and Gary (Scooter) Ashley II of Sacramento; seven precious grandchildren, Brooke, Brad, Shawn II, Ashley, Jacob, Austin and CJ; five sisters, Anna Haws, Marma Handley, Kay Sutton, Debbie Copeland and Laura Copeland; and seven brothers, Jesse Copeland, Donald Copeland, Velton Copeland, Rickey Copeland, David Copeland, Anthony Copeland and Michael Copeland. Services are Monday at Sacramento United Methodist Church, with Brother Marvin and Marilyn Lagle officiating. Visitation is from 9 a.m. to 2 p.m., followed by his burial service. 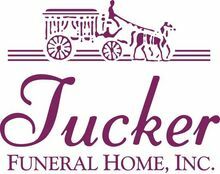 Tucker Memorial Chapel in Sacramento is in charge of arrangements. Jim was such a fun person to be around. When Carrie and I were kids, we were always playing jokes on him; tickling his nose when he'd fall asleep in the chair and playing all kinds of pranks on him. Surely we drove him (and Karen) crazy sometimes! He never once got mad at us though, he'd just wait until the perfect time to play a prank on us! He's going to be missed by so many people. God only takes the good ones early, and Jim certainly was a good one. Rest in peace. Jim, you was a very out going easy to get along with person. You will always be loved an missed by many. Karen & Carrie i'm sorry I couldnt be there but im thinking of you all an praying for you all. Love you all. Jim .. you was a wonderful man .. you always made me laugh .. I will remember those times ..